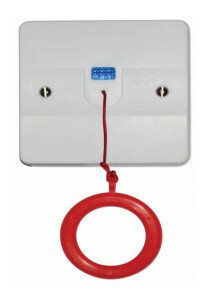 The CSL disabled toilet alarm system is designed to meet and exceed BS8300 for emergency signalling systems for disabled persons. 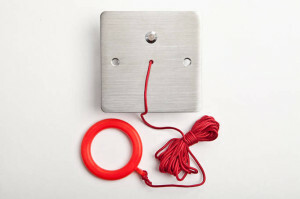 In the event of an emergency, ceiling pull cords can activate audible and visual alarms to seek assistance. 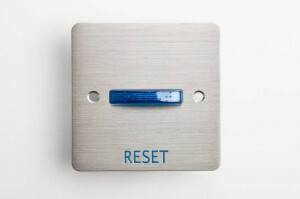 Reset plates are mounted inside of the toilet to ensure that resets are only generated at the source. 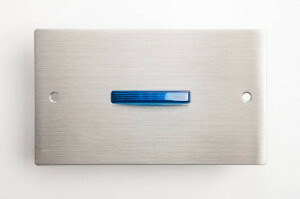 The Overdoor indicator/Sounder unit is supplied with an integral Power supply unit. 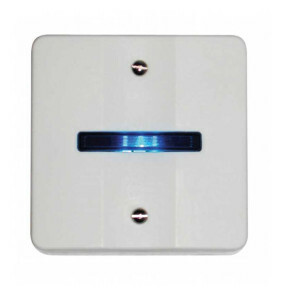 A fused spur should be fitted nearby and wired to this unit to provide power. The unit will illuminate and sound as soon as a call is activated. 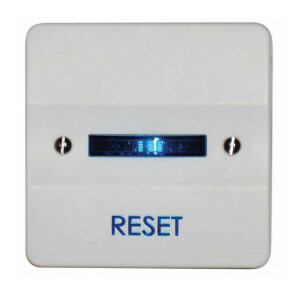 The unit will cease once the reset switch is pressed.